It is a well-known procedure frequently used in surgery and dermatology. In dermatology we use electrocautery to remove warts which are small, benign growths caused by a viral infections. They occur on the skin or mucous membrane. The causative agents are viruses of Human Papilloma Virus (HPV) family. Warts can be transmitted from one person to another and they can travel from one part of the body to the other. All these types of warts can be effectively treated with electrocautery. Electrocautery is a procedure commonly used in dermatology that removes unwanted tissue on the body by using a small probe with an electric current to burn away warts. It reduces the risk of bleeding during wart removal. Topical or local anesthesia will be applied before the procedure to numb the skin. 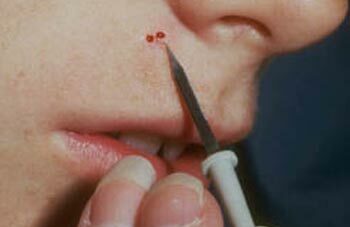 After which a tool with a thin needle like hot tip will come in contact with the wart. The actual electrocautery procedure will take 15 to 60 minutes depending on number of areas to be treated. For distinct and larger warts an intralesional anesthesia injection is usually done before electrocautery. Scabs will form over the wart to be treated. It will drop off by itself in 5 to 7 days and will leave a small reddish mark. Complete healing may take 1 to 2 weeks. Moles that are vascularized can be removed by cautery. Heat from the instrument shrinks the vasculature and creates a small wound in the area. Subsequently skin goes through wound healing and the area heals with small scar tissue. Molluscum contagiosum is a common skin disease caused by a virus that is highly contagious. Children get it more frequently than adults. This disease easily spreads to other parts of the body by scratching which often causes papules to form in a line or cluster. It is also easily spread to other people through skin to skin contact. After giving local anaesthesia, the bump is first cauterized with an electrical instrument and then opened up using a sharp instrument. The molluscum body is then picked out. Electrocautery makes it easier for the molluscum body to be removed. Curettage refers to the act of scraping away the molluscum body.